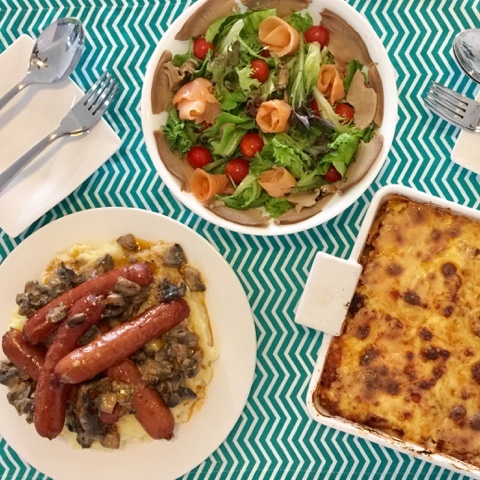 How to prepare a lunch party of Beef Lasagna, Bangers & Mash, SmokedSalmon Abalone Salad with Yuzu Citrus dressing? I invited my sister and bro-in-law for a Sunday Lunch. My BIL does not like to eat white rice or porridge so I either cook Ang Mo meal or noodles. As for me, I am still recovering from my wisdom tooth surgery. Today is already Day 9 and I still cannot chew on hard food. 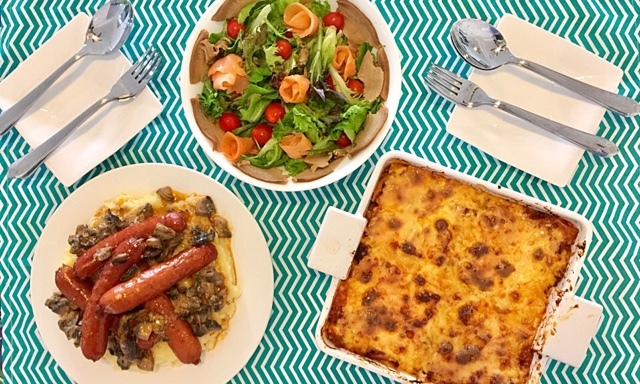 That is why I thought of cooking soft and creamy Beef Lasagna, Bangers and Mash. 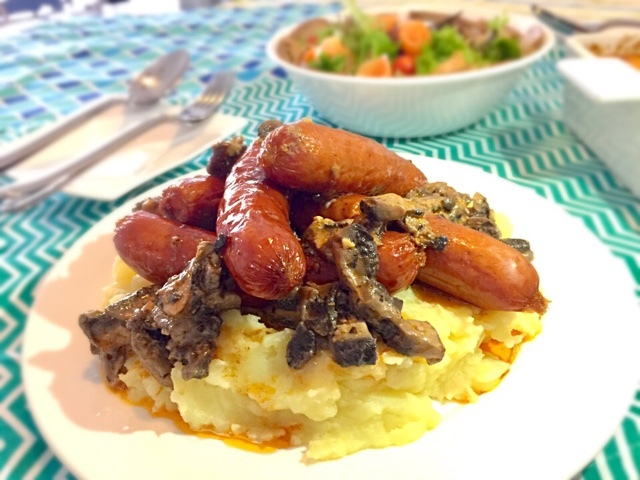 If you want to cook a successful Bangers and Mash, you have to purchase high quality sausages, potatoes and mushrooms. Johnsonville sausages (Brats series) was introduced to me by my boss and it is really delicious. It has the restaurant quality feel and you will not regret buying them from NTUC Finest. I oiled my oven toaster with cooking olive oil and toasted the sausages. 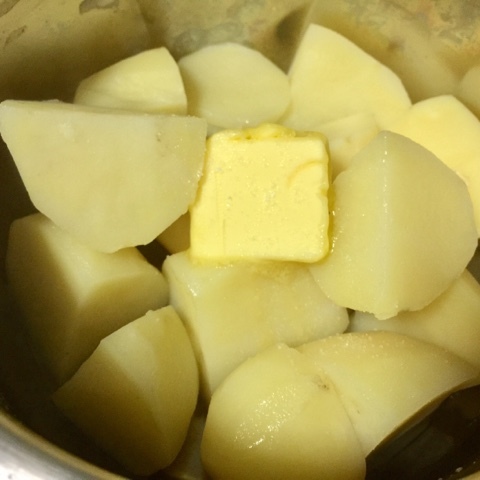 I chopped the potatoes into quarters and boiled them till they were very soft. I added salt into the boiling water. 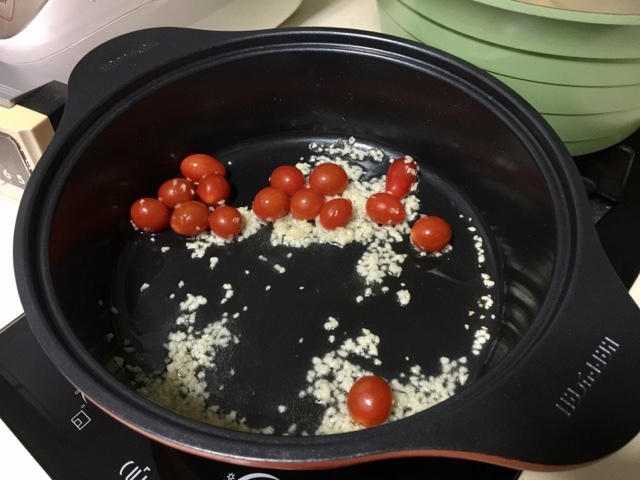 After they were cooked, I drained the water. 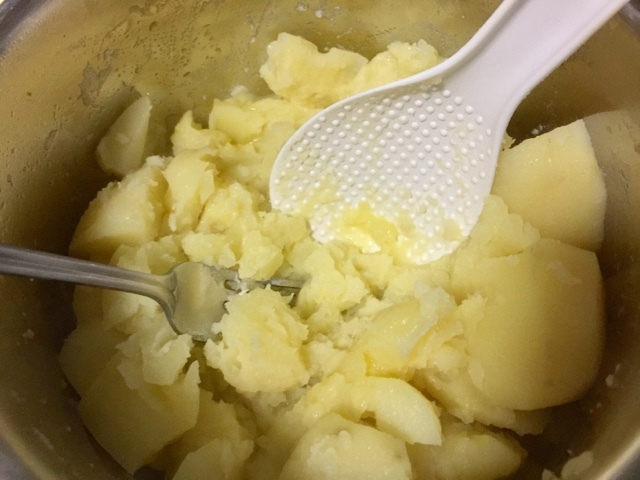 Next, I added salted butter, pepper and salt into the potatoes and began to mash them with a rice spatula and fork. It is very effective. I melted a 4 cm by 2 cm salted butter in the pan. Once melted, I placed my chopped portobello mushrooms into the pan and started frying them. 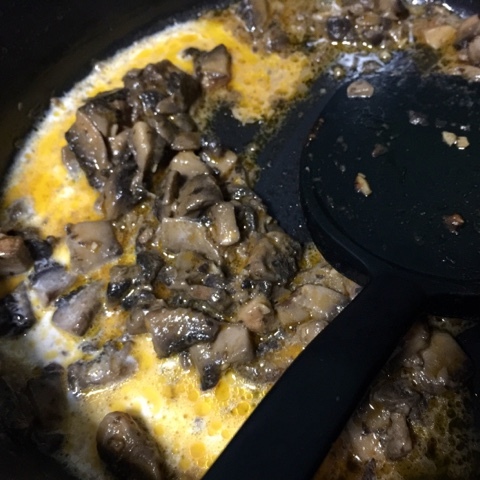 Once the mushrooms were cooked, I turned the stove to low heat and added fresh milk and salt to taste. Fresh milk could be replaced by cream for those who prefer a thicker sauce. Do note that if you are not serving the sauce immediately after cooking, you have to keep it warm over low heat to keep the butter melting. First, I placed the mashed potatoes onto the plate and shaped it with a spoon. Next, I stacked the sausages on the mashed potatoes. Lastly, I poured hot mushroom sauce over the sausages. Yummy! Do you know that Lasagna is the singular form of Lasagne? 2 cans of tomato paste should be sufficient. 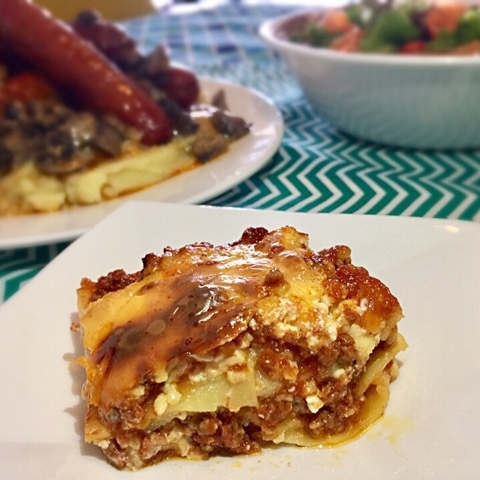 I chose Ricotta cheese as it is an essential ingredient in every classic lasagna. If you have guests who are not cheese fans, I suggest you just stick with Pizza Plus. Ricotta cheese has to be balanced with the tanginess of tomato paste in order not to be overly cheesy. My sister commented that Ricotta cheese tasted very "high class". I placed 8 to 10 sheets of lasagne (12cm by 6cm) into a pot of boiling hot water. I added salt and oilve oil into the water to prevent the sheets from sticking to each other. I boiled the lasagne for 10 to 12 minutes and I left it in the water. You can drain the water. 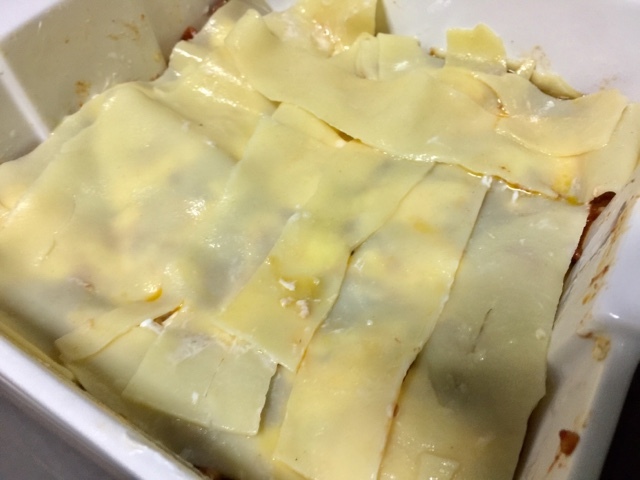 I was too lazy and I felt that it was okay for Beef Lasagna to be very soft. If you want to remove the lasagne from the water, you have to oil the sheets with olive oil to prevent them from sticking to each other. I know that some online recipes encourage home chefs to skip the boiling and bake the sheets straightaway. I tried it and it was a flop. 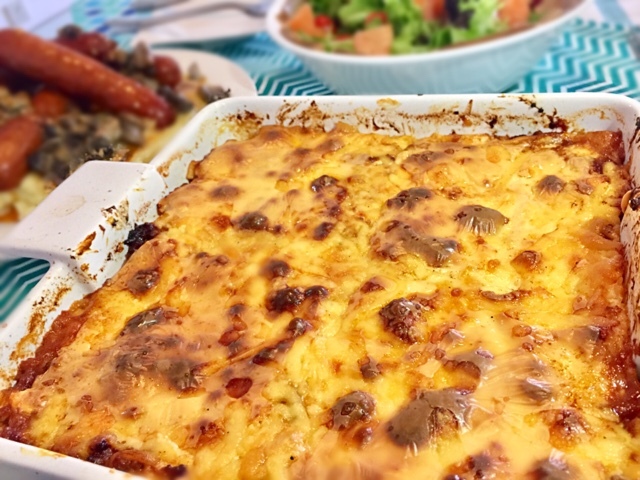 The lasagne took forever to cook and the cheese were burnt. I heated the oil in the pan and fried some garlic and onions. I also fried some tomatoes to give some freshness to the sauce. 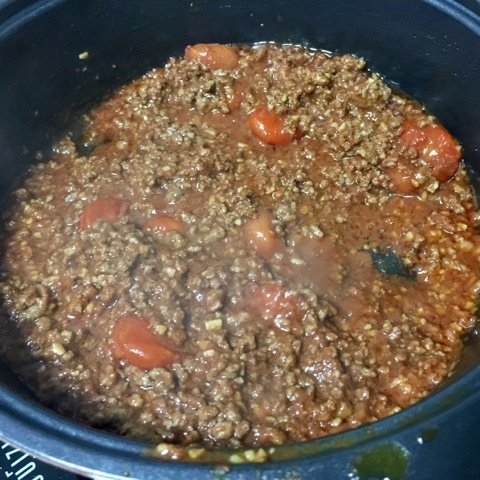 Next, I stir-fried the minced beef and when they were almost cooked, I added in 2 cans of tomato paste. Lastly, I sprinkled a very small amount of Italian herbs and salt to taste. Too much of herbs will overpower the cheese. 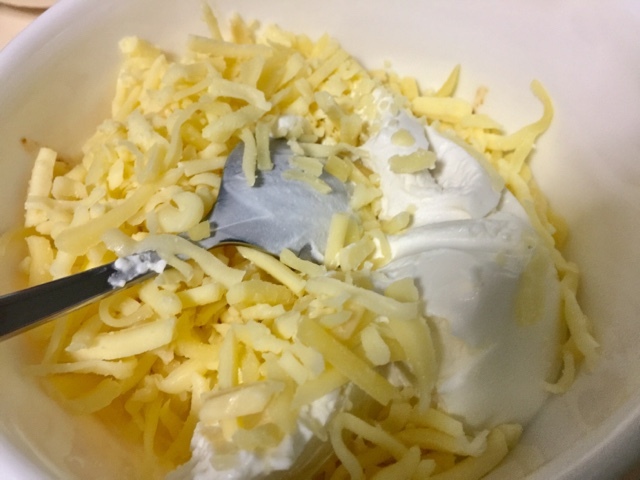 If you do not wish to mix the cheese, it is fine. You just have to add blobs of Ricotta cheese and sprinkle Pizza Plus over it when you are layering. There are many different ways to layer a lasagna. You can check out Jamie's website. 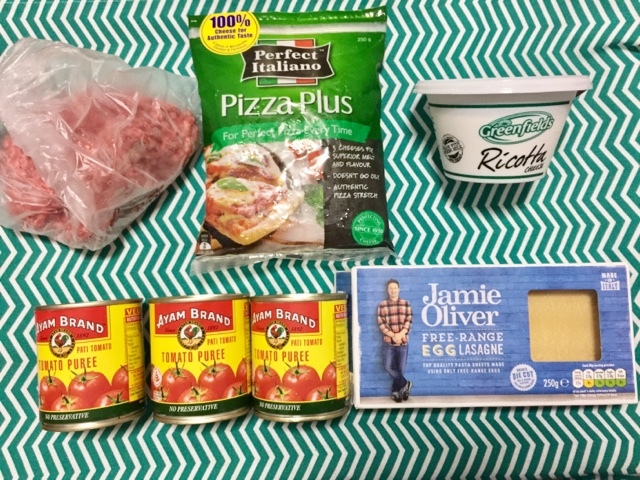 http://www.jamieoliver.com/news-and-features/features/how-to-layer-the-perfect-lasagne/ I have my own style due to my taste preferences. Finally, it was time for the fun to start! 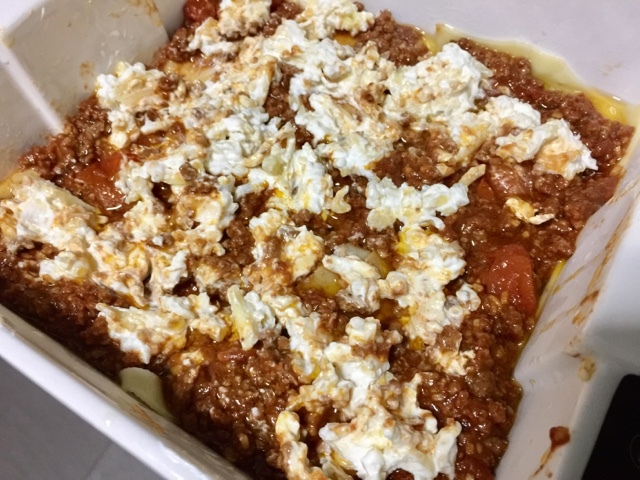 I oiled the baking dish with cooking olive oil and poured some minced beef sauce onto the dish. I spread the cheese onto the minced sauce. I did this in the hope that the Ricotta cheese would not be overly cheesy. 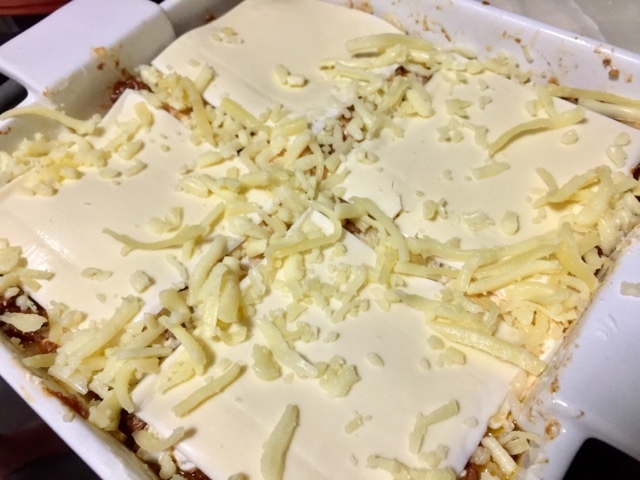 Next, I lay the lasagne, followed by another round of minced beef sauce and cheese mixture. I used Kraft cheese and Pizza Plus for the last layer. You should add as much Pizza Plus as possible. I baked it in Sharp Microwave Oven using Bake Pie function. I baked it until the cheese turned a golden brown. It was very soft and lovely. I did not manage to cut it perfectly. 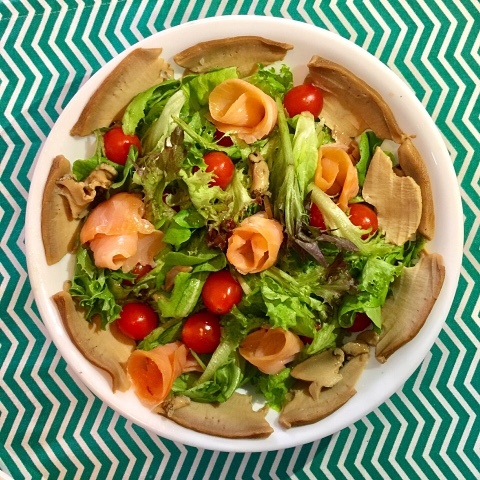 It is very easy to prepare salad. For this dish, I added abalone because it was a CNY gift from my sister so I was waiting for a good chance to eat it together. Abalone goes well with salad in non-creamy dressing. Guests who love abalone will eat them in no time. I chose Yuzu Citrus because Beef Lasagna and Bangers and Mash are both very rich food. I needed a light and refreshing salad. 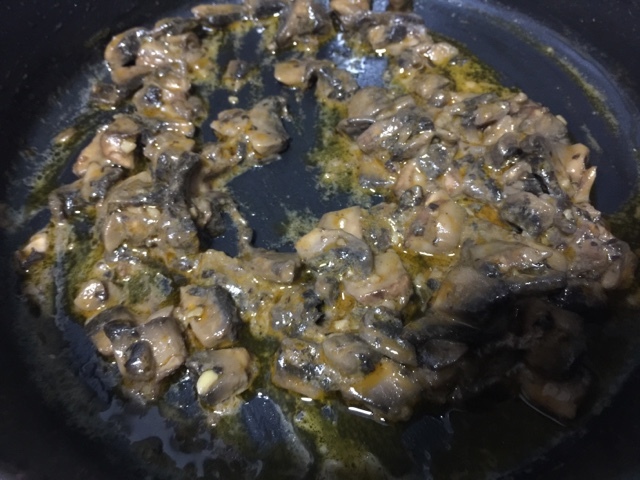 I cooked the canned abalone to get rid of any bacteria. I enjoy hosting lunch or dinner parties with easy recipes. For lunch parties, there is a time limit since your guests will be appearing by a certain time. The key factor to manageable cooking is in the selection of dishes. Choose dishes that you can cook simultaneously with the kitchen appliances that you have. I am very happy with today's meal because the cooking was quite fun! I hope you have enjoyed reading my post. Like, Follow or Share my Facebook Page for regular updates to my "fooding". Leave your comments as well for a chat.